BLUE ASH, Ohio -- Don’t be fooled by Nellie Frank’s sweet smile. 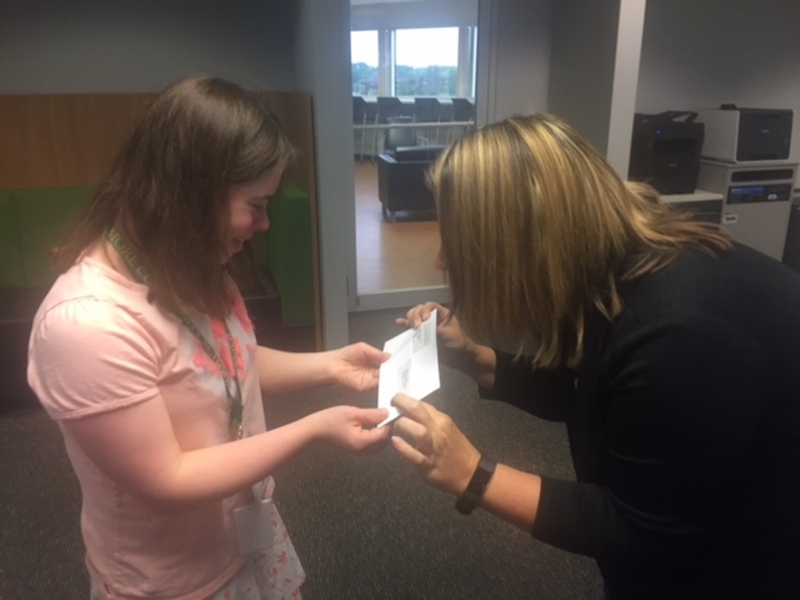 The minute she swipes her company badge and walks through the door at LendKey in Blue Ash, the young intern is all business. She marches straight to her desk, takes off her coat, turns on her computer and then goes directly to her first task: restocking the company’s snack shelves. After replenishing the snacks, she goes back to her computer to carefully enter information from business cards into a spreadsheet that the company uses for recruiting. It’s a huge help for Nellie, too. 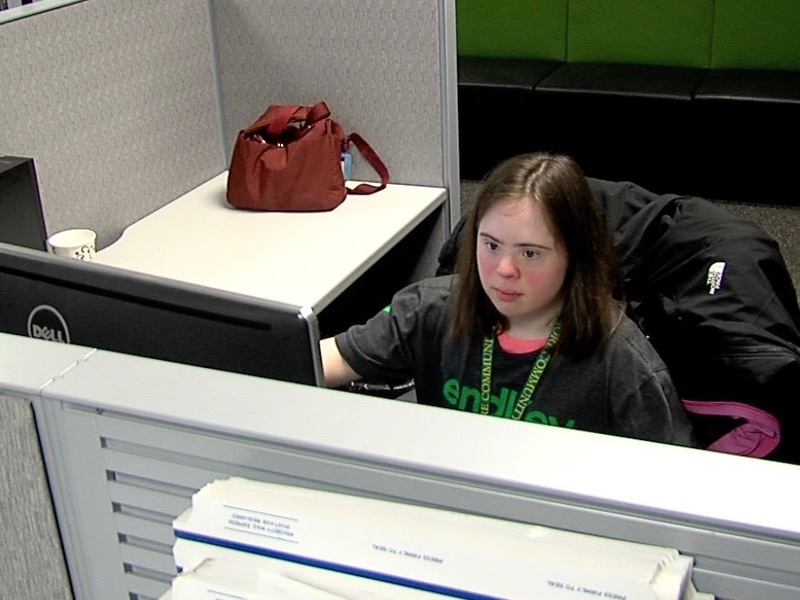 Nellie is a 20-year-old Sycamore High School graduate who has Down syndrome and takes part in the school district’s Transition Internship Program for young adults with disabilities. 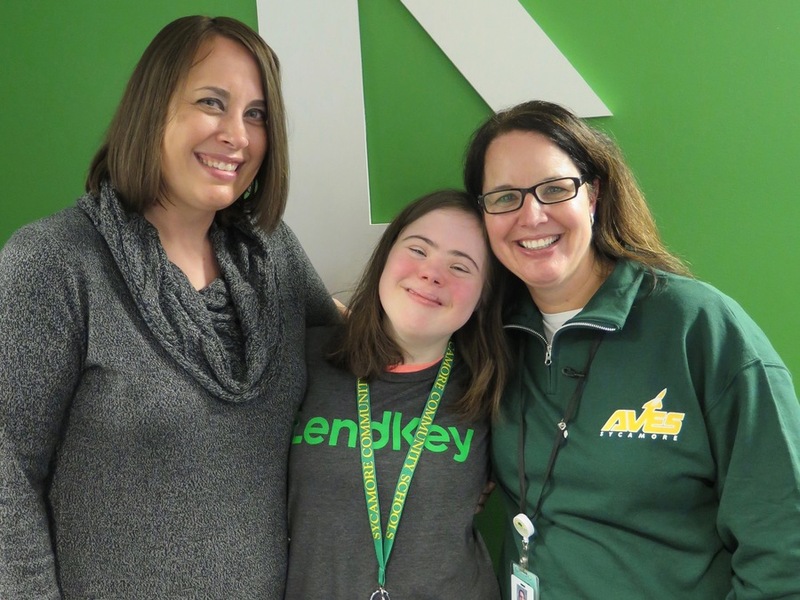 The job at LendKey is giving her work experience in an office environment, which is important as she strives to become independent, said Esther Adams, the transition coordinator at Sycamore Community Schools. But Nellie isn’t the only one benefiting. Her presence at LendKey means more to the company than the sum of her tasks. Her work there is an extension of its founder’s belief in the need to recognize “neurodiversity,” the idea that neurological differences should be recognized and respected. LendKey began offering internships to special needs students at its New York headquarters in 2012. The company works with a private school there and has employed about 10 interns over the years, Passione said. Many of the high school students that have worked for LendKey in New York have autism and have gotten training to help the company with the coding LendKey must do to establish online lending platforms for its customers. LendKey opened its Blue Ash office in 2013. As the operation continued to grow, the company wanted to start a similar internship program there. Some company executives asked Neil Hensley, Blue Ash’s economic development director, if he knew anyone at Sycamore Community Schools who could help them find an intern. “I don’t believe in my 35 years of economic development work that I have ever had a company ask me about making this kind of connection,” Hensley wrote in an email to WCPO describing the exchange. Hensley connected the company with the school district’s superintendent who connected them with Adams and the Transition Internship Program, or TIP. 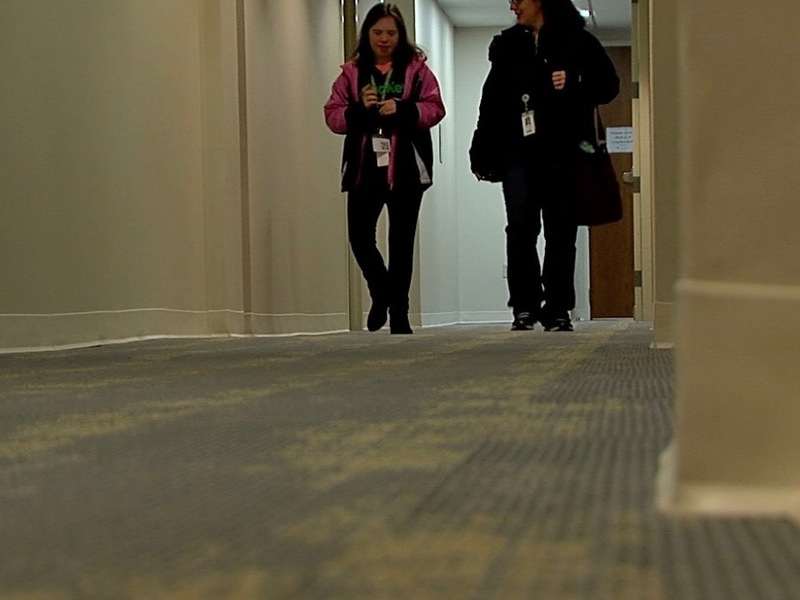 LendKey is far from the only local company that employs young adults with disabilities. Sycamore’s TIP program partners with many local companies that employ their students, Adams said. But what made LendKey different is that the company sought out an intern with a disability, she said. Usually, Adams and other school district staff must spend time trying to convince employers to give their students a chance, she said. Adams immediately thought of Nellie for the job because she had worked in retail settings but had not worked in an office. “She came to mind in a sense that she might be good to engage in this job training experience,” Adams said. Nellie can be shy with people she doesn’t know, and she couldn’t even look directly at Pierce the first time the two of them met, Pierce said. 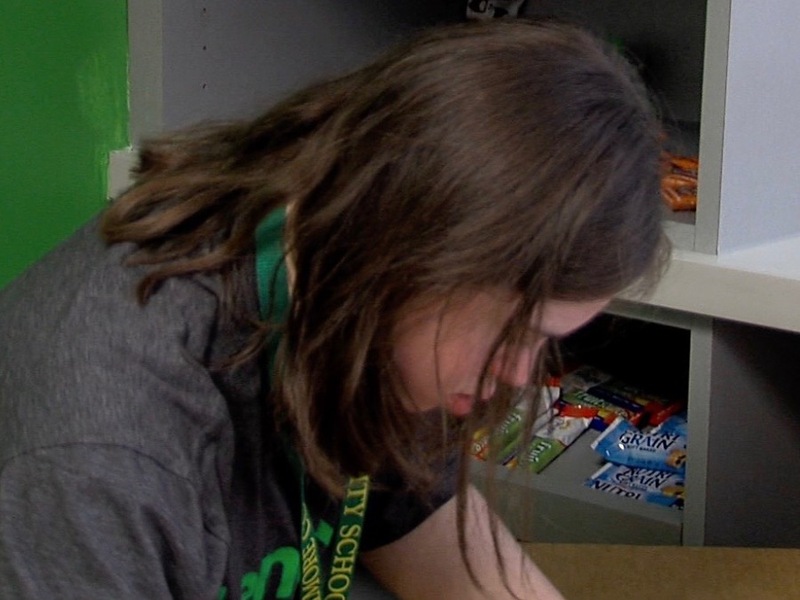 The internship marks the first time that Pierce ever has supervised anyone with a developmental disability, and Pierce worked to come up with tasks that would be helpful for Nellie and for the company. LendKey offers free snacks to its employees so it’s important to keep those restocked. And Pierce figured that giving Nellie experience with an Excel spreadsheet would teach her a new skill while also helping the 65-employee Blue Ash office keep its recruiting database up to date. 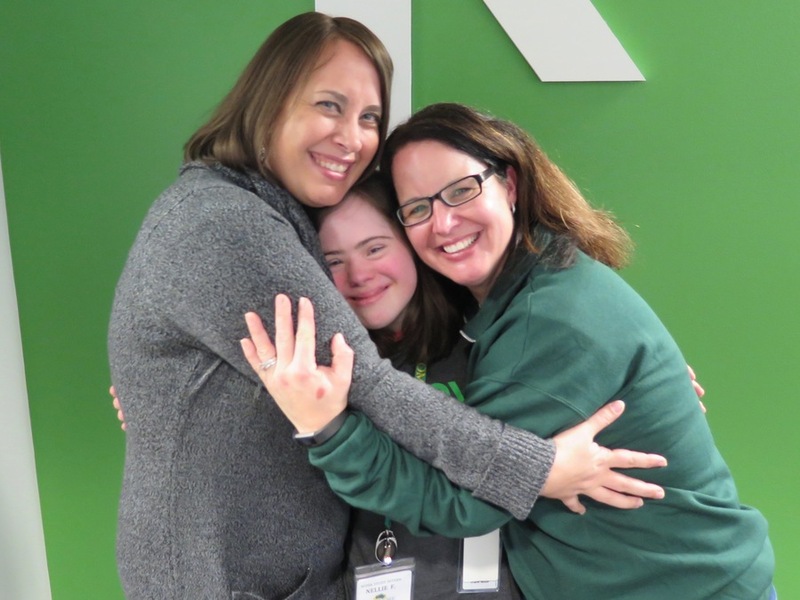 Nellie arrives each Wednesday afternoon with Emily Molina, her job coach, who stays close by to answer questions or offer help or encouragement. In the months since she has been working at LendKey, Nellie has become more comfortable with her co-workers. The staff at Sycamore has noticed the difference, too. That’s in large part because LendKey focuses on what Nellie can do to help the company rather than focusing on her limitations, Adams said. “The whole goal of work study and transition programming is to prepare young adults to be well rounded members of their communities,” she said. “I love working,” she said. She has used her paychecks to buy coloring books and jewelry, she said. Molina joked that she was waiting for Nellie to take her out to dinner sometime, but Nellie said, “No” then laughed. Passione said he hopes In the long run his company can hire interns with developmental disabilities for full-time jobs. Whether Nellie is one of those employees some day or not, Passione said, she’s learning skills she will be able to use for the rest of her life.